I always love hosting a good feast and have shared before how I host a festive feast, my favorite simple ideas for hosting a feast and all the fun feasting products I use. But one thing I realize we never talk about, is setting the kids table. Which is crazy – since that is the most fun part of the entire ordeal! So this year I’m fixing that and had the team come up with the best Thanksgiving kids table ideas imaginable. It quickly became a Thanksgiving kids table worthy of every child’s feasting dreams. So good! With a focus on the sweet and whimsical fun, because there’s always time for mom to plate up real turkey later ;) this table will keep the kids laughing and juice box cheering all day long. First we are starting with the turkey. Obviously! 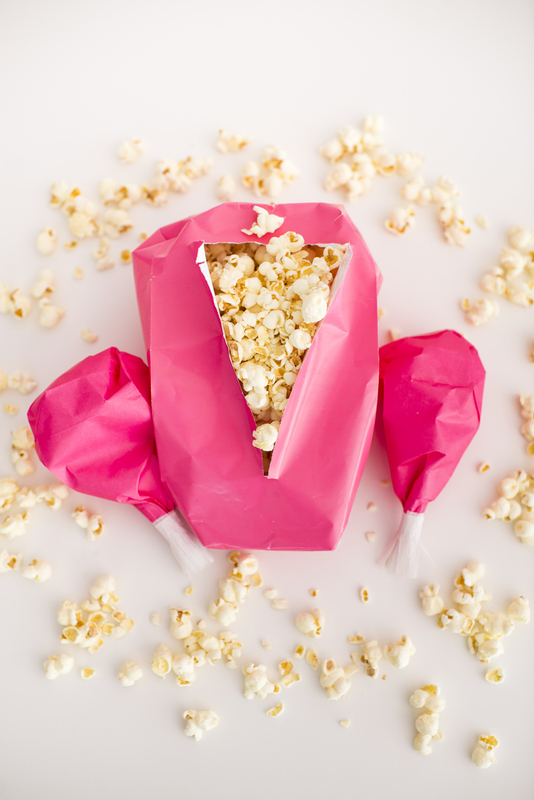 Using paper colored paper bags we created a turkey + legs filled with popcorn. This kids thanksgiving table idea is my favorite of the entire bunch. They turkeys look so fun out on the table and once they’re torn open, they are filled with a snack size of popcorn great for holding everyone over until the “real” turkey is ready to eat. 1. Open the lunch bag and squish in the corner to round the “body”. You can do this by putting one hand inside the bag and poking the corners in with the outside hand. Then fill the body with popcorn. 2. Roll the bag opening under and carefully fold in the sides making an angle on each side of the bag. Tape the underneath to secure the bag closed. Set aside. 3. 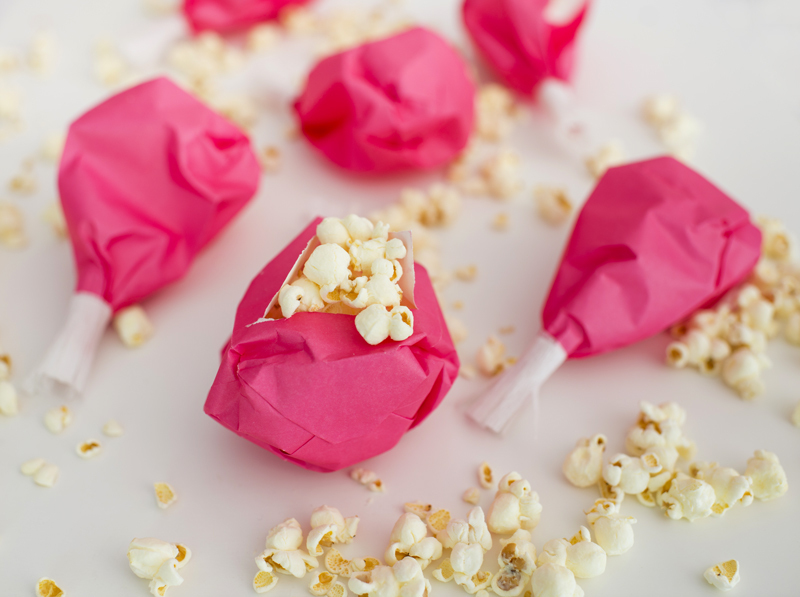 For the drumsticks use the same technique to crumple the corners and fill with popcorn. Twist the opening to feather. 4. 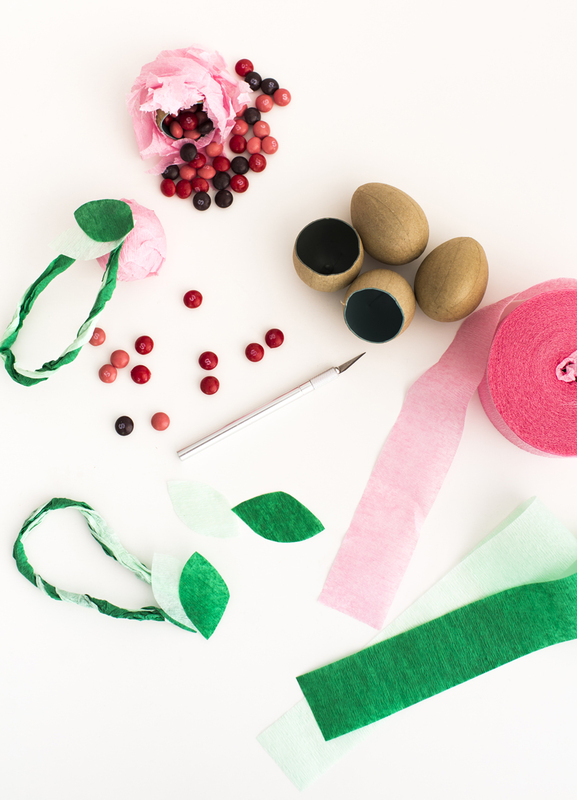 Using a 2-3” strip of crepe paper cut small slits into one edge to create fringe. 5. Tape the end to the twisted part of the drumstick and wrap it round and round till you get to the end. Secure in place with tape. 6. 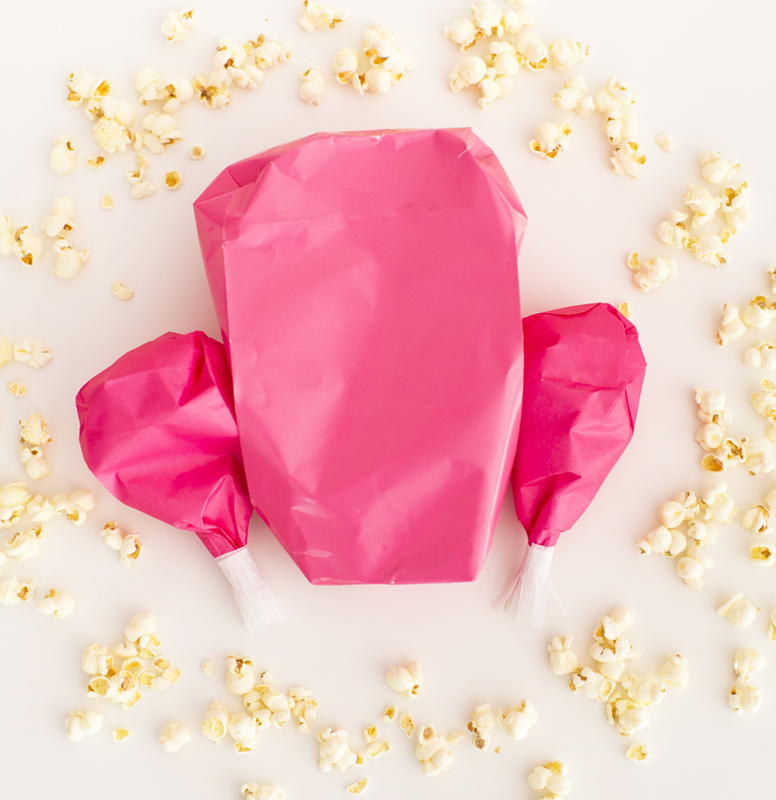 The last step in making these popcorn filled turkeys is to tape the drumsticks to the side of the body. Set out on the table for a fun kid centric Thanksgiving treat. Now for the sweetest corn you’ve ever had! 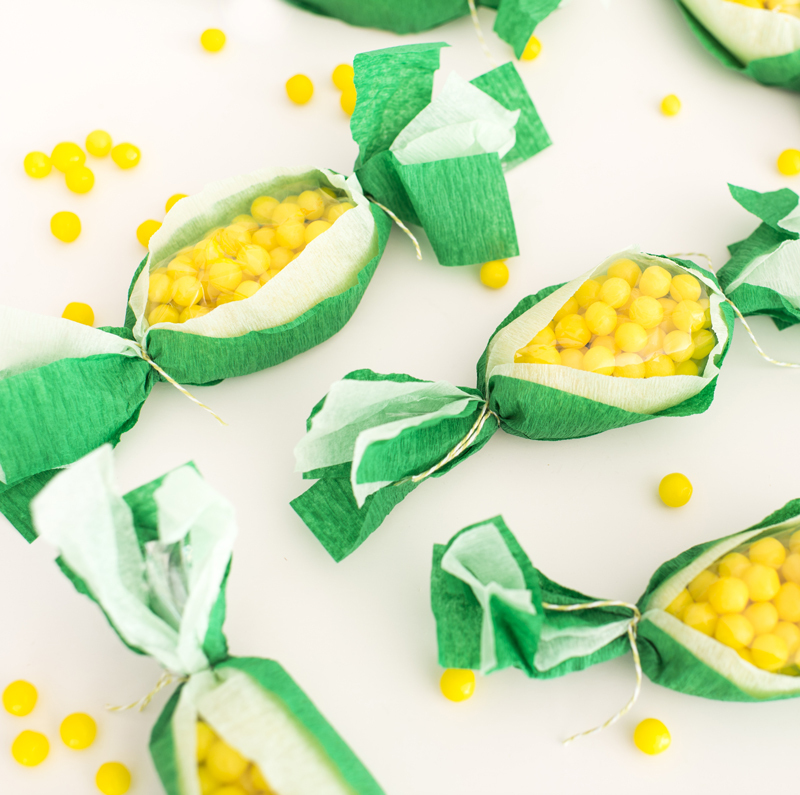 We’ve wrapped up a handful of lemon head “kernels” in each of these cute corn wrappers. They look adorable laid out on the kids Thanksgiving table and are a sweet treat to hold off the tummies, while the adults are finishing the cooking. 1. 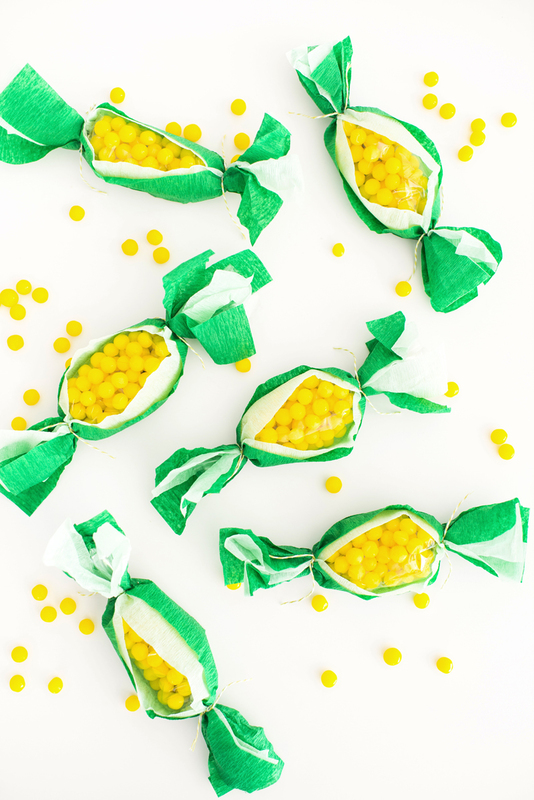 Create a tube with the cellophane and tie a piece of twine about 1” from one of the ends and fill with a generous amount of lemon head candies. 2. Secure the other end closed with another piece of twine. 3. Lay your three pieces of green crepe paper flat, overlapping each other. Then place the mint green papers on top – This will be your husk. 4. 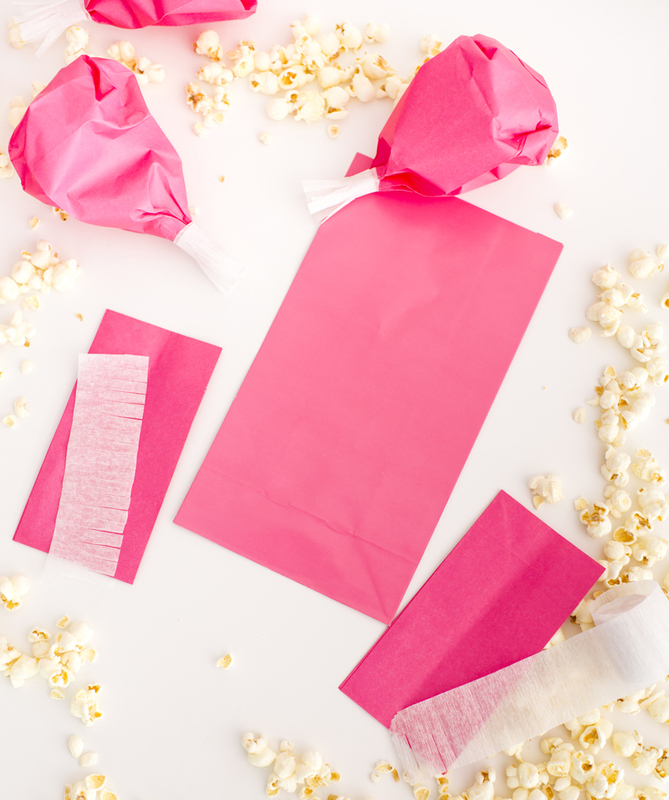 Place the pouch of candy on top of the paper. At each end shimmy a piece of twine underneath the husk and pull up and knot around where the other twine is tied. The paper should hug around the clear candy pouch. 5. Scrunch the ends of the crepe paper to make it look more like husks. 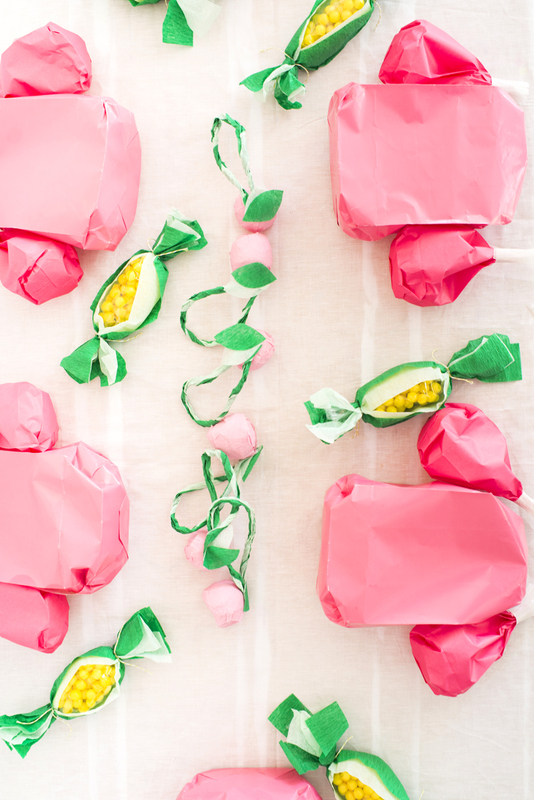 Corn at it’s sweetest for sure! 1. Using the exact knife cut the top 1/3 of the egg off and fill with skittles. 2. 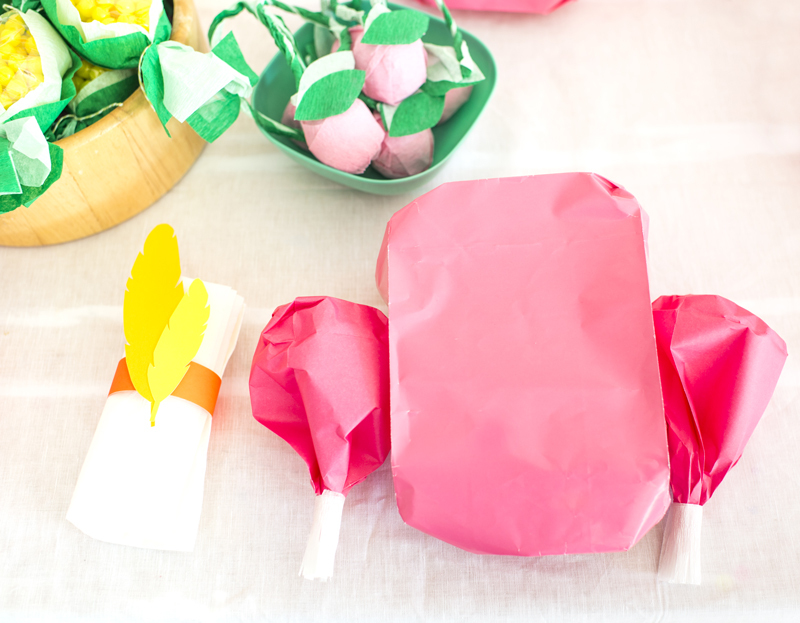 Secure the end of the pink crepe paper to the egg and begin wrapping tightly making sure to adequately cover the opening. 3. 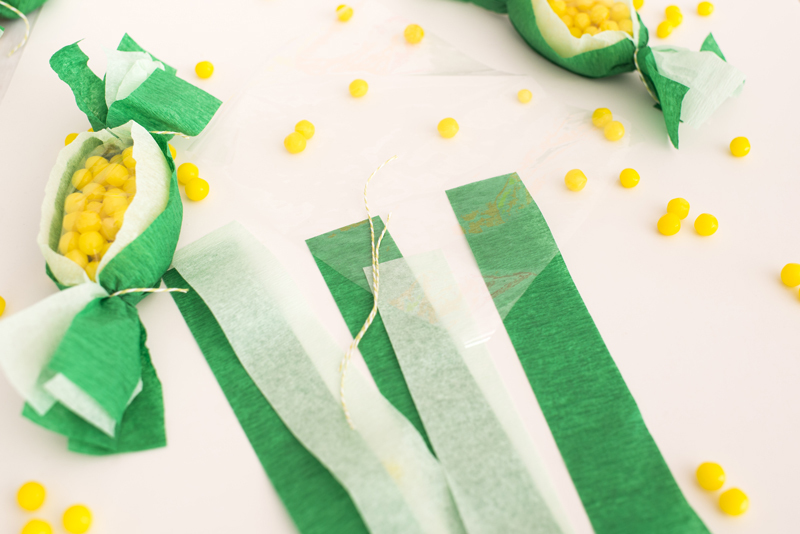 Twist the green crepe paper together and roll it into a vine. 4. 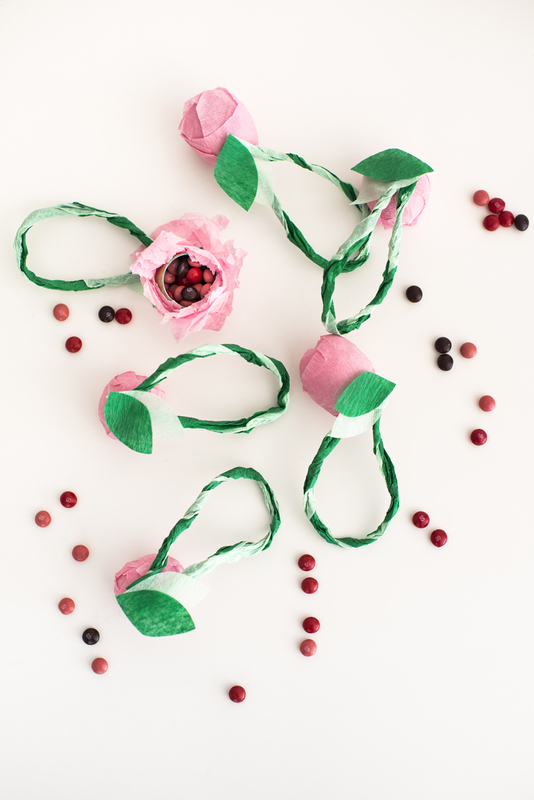 Tape both ends to the top of the cranberries. Cut small leaves from the paper and secure on top as well. 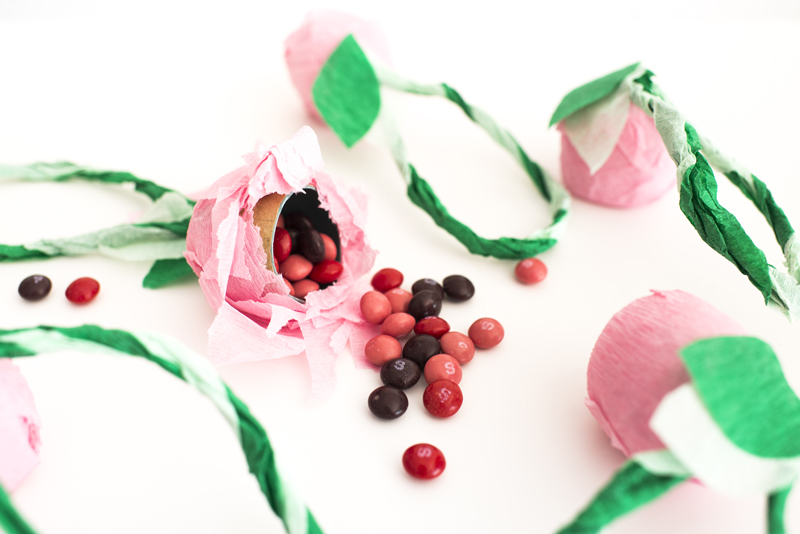 To open these eggs and eat the skittles just tell the kids to firmly press their thumbs on the flat side the crepe paper will easily rip from the pressure. Now that we have all the treats taken care of the table doesn’t need much else to make it look awesome. 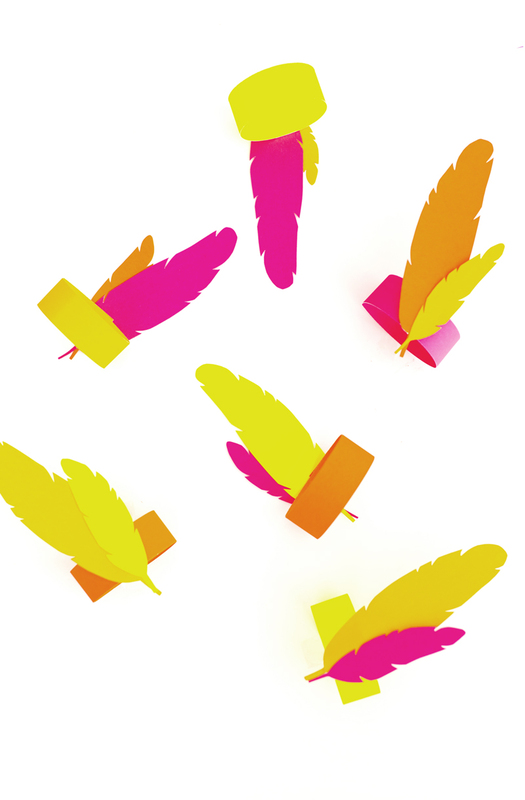 These simple feather napkin rings are a great way to add that last pop of color. 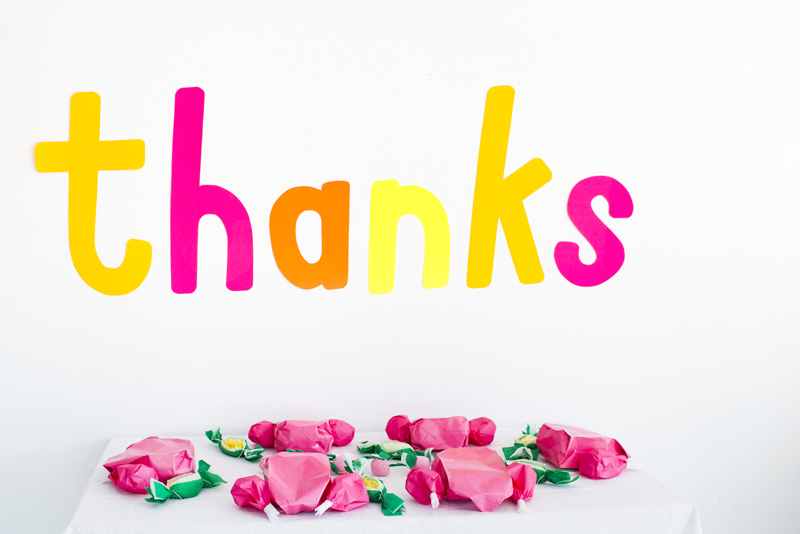 The kids will love how bright and fun they are and paper can easily be tossed after the meal so no need to worry about keeping things fancy at this Thanksgiving kids table. 1. Cut a 1” x 5” strip of paper. Using a small piece of tape secure the ends together to create a ring. 2. 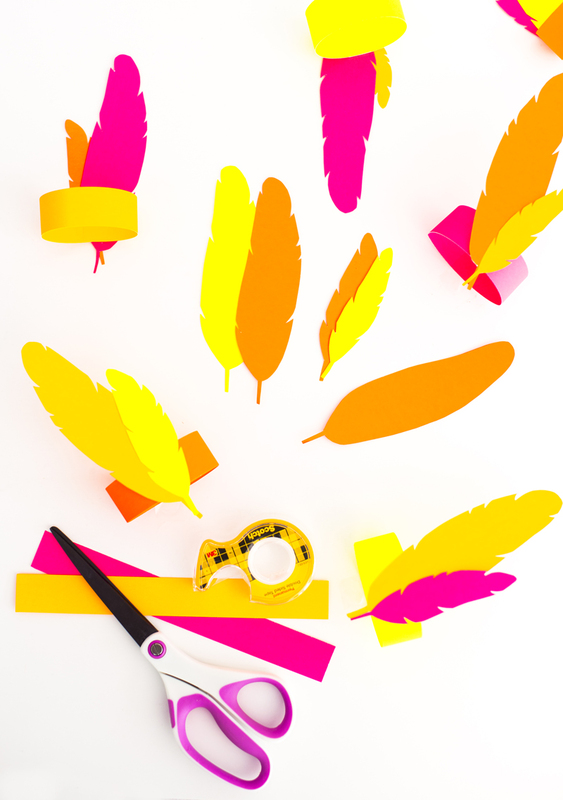 Choosing a different color paper draw a few feather shapes of varying sizes and cut the feathers out. 3. Using a piece of tape secure the feathers on the ring. Ideally at the seam to hide the ends. 4. Slide a napkin inside and place at your table settling. 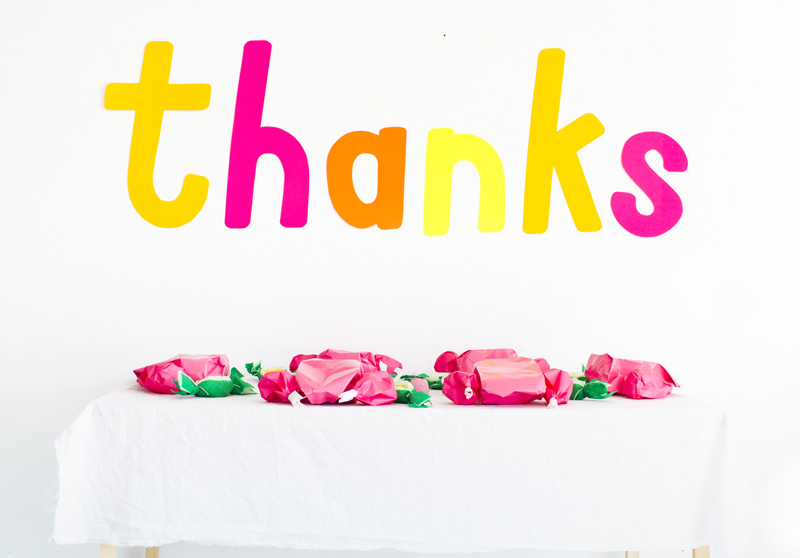 Add in a bright and fun THANKSgiving sign and the kids will be over the moon about this years yummy feast! PS. 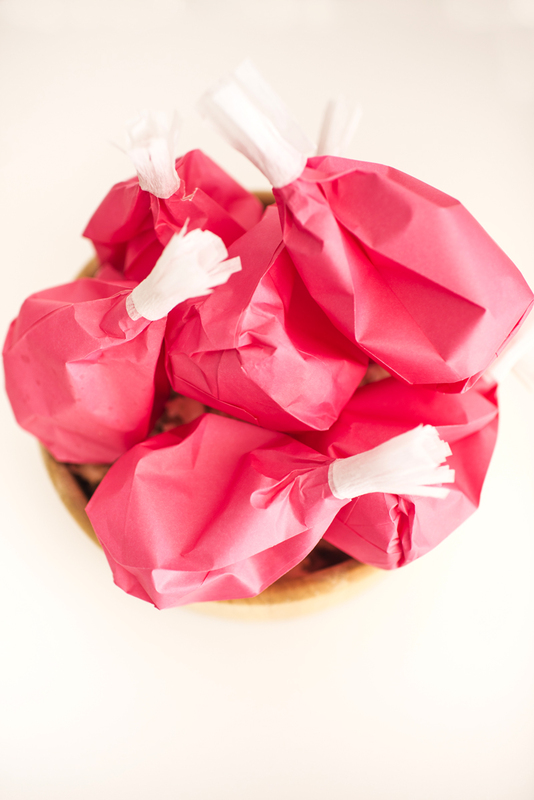 Finish this years Thanksgiving kids table off with pool float mini-pies. Thanks for sharing the most beautiful pics and this is such a nice blog.